Choosing your residential property refurbishment partner is a big decision, whether a complete property renovation, a makeover or a new kitchen or new bathroom. We aim to ensure that the refurbishment of your home centres around you and your individual needs and with our extensive range of services, you can be sure we have plenty of options for you. You will always experience delivery that is professional, accurate and timely. We are proud of our work and our attention to detail is a promise. Morris Parker have been members of Checkatrade since November 2015. 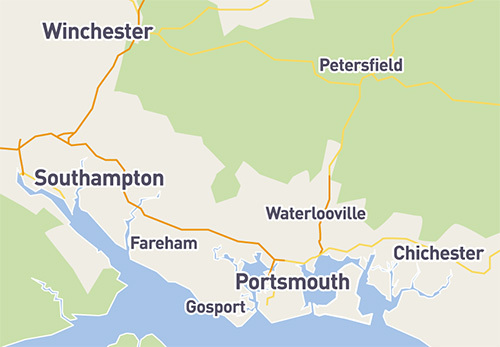 We offer property refurbishments services along the South Coast in the Winchester, Southampton and Portsmouth areas, as indicated on the map above.